A dedicated housewife Elena is compelled to take certain desperate measures in order to straighten the stiff situation she finds herself in, after a strange reunion and sudden illness. Elena is directed by Andrey Zvyagintsev and was released on Sep 29th, 2011. 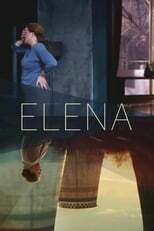 Director Andrey Zvyagintsev's Drama & Thriller movie Elena is produced by AR Films & was released 2011-06-06.